Would you care in a Uni EP if Dorms are not Buildable? In What Way Do you Think The Sims Team should Deliver Content on DLC? Do you think Stuff Packs are gonna jave a coneback this 2019? Which Major Pack Release Pattern do you Want? 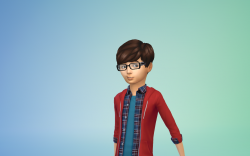 How do you create drama in The Sims 4? What are your Retail Experiences? Extreme wind effect on objects when we get seasons? What happen to Sytled Looks for Elders?